I considered not sharing a history post on 9/11, and I won’t speak about that day. My condolences to all who lost loved ones in that tragedy. 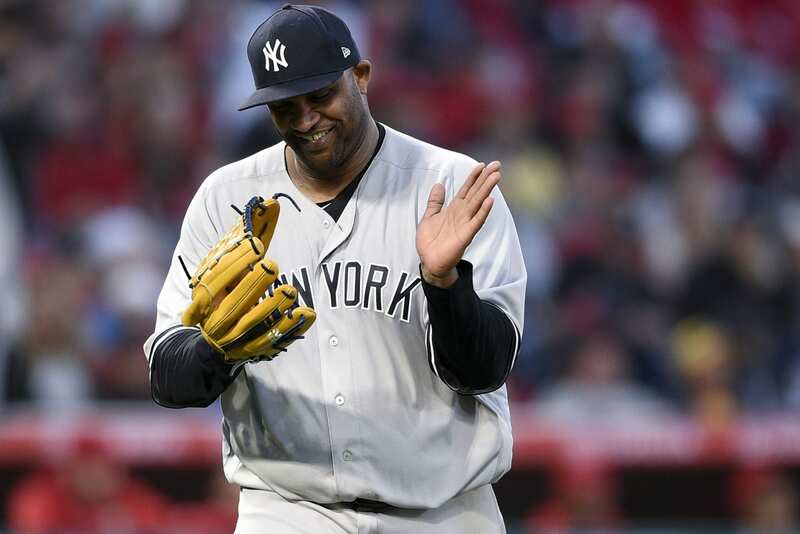 The Yankees and CC Sabathia were down 1-0 to an Adeiny Hechavarria second-inning rbi triple as the Rays hosted them at CitiField on September 11, 2017, as severe weather drove them from Florida. But things collapsed for Jake Odorizzi in the five-run Yankee fourth, a frame that had one walk, one single, one sac fly, one infield error, one double, one catcher’s interference call during a Jacoby Ellsbury at bat, and, most important of all, Todd Frazier‘s three-run home run. The Yanks were outhit nine to four, but walked away with a 5-1 victory. The Baltimore Orioles beat the Yankees in new Yankee Stadium seven weeks before Championship No. 27, 10-4 on September 11, 2009. A beastly night where the start of the game was held up for 90 minutes, and there was another extended rain delay later, but none of that is important (not even the score). That is because Derek Jeter tied Lou Gehrig for most hits by a Yankee with a one-base hit in the fourth (at 9:23 p.m.), then broke the all-time Pinstriped hits record with an rbi single in the fifth (at 10:00 p.m.). Amazingly, there were other Yankee highlights, as Alex Rodriguez gave Andy Pettitte an instant lead with a three-run bomb in the first, but it was all O’s thereafter (except for the Jeter all-time record). Baltimore sent eight, then nine, then eight batters up in the fifth, sixth, and seventh and scored 2, 4, and 3 runs respectively. The home run was Alex’s 577th. September 11, 1985, was the day that Pete Rose singled off San Diego’s Eric Show, passing Ty Cobb to become the all-time major-league hits leader with 4,192.